Home → Mobile Phones → New Google Pixel. The best Android phone you can buy. There’s been a lot of hype surrounding the new iPhone 7 and Samsung Galaxy S7 as of late. 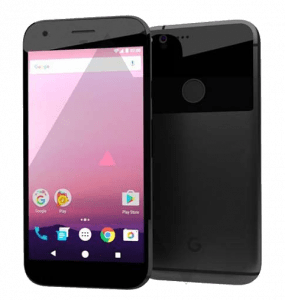 But have you heard much about the Google Pixel? Probably not, so we’ll try and give you the basics on what you need to know about it. As we all know by now that there has been a lot of Android phones made by a lot of different manufacturers. But never one made by Google, until now. The Pixel just may be the best Android phone ever made. What does it mean that Google is making a phone now? I guess we could say is we finally get to see what Google wants when it makes its own hardware. So what does Google want? It wants to make a phone that’s very simple and approachable. 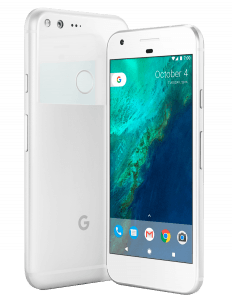 Every phone these days is made of metal and glass, but Google’s take is really simple and utilitarian. They come in two sizes: 5” and 5.5”. 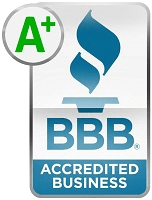 They feel pretty good to use even though they are a little bit thicker than you might expect. The fingerprint sensor that we’ve become accustomed to is located on the back of the phone which is a good place for it as it’s a more natural feeling. It just doesn’t work when it’s sitting on a table or something. Some may prefer it there, some, not, but that’s where Google put it. There’s only one speaker but it’s very loud and located on the bottom along with the USB-C jack. And of course a headphone jack is found on the top. 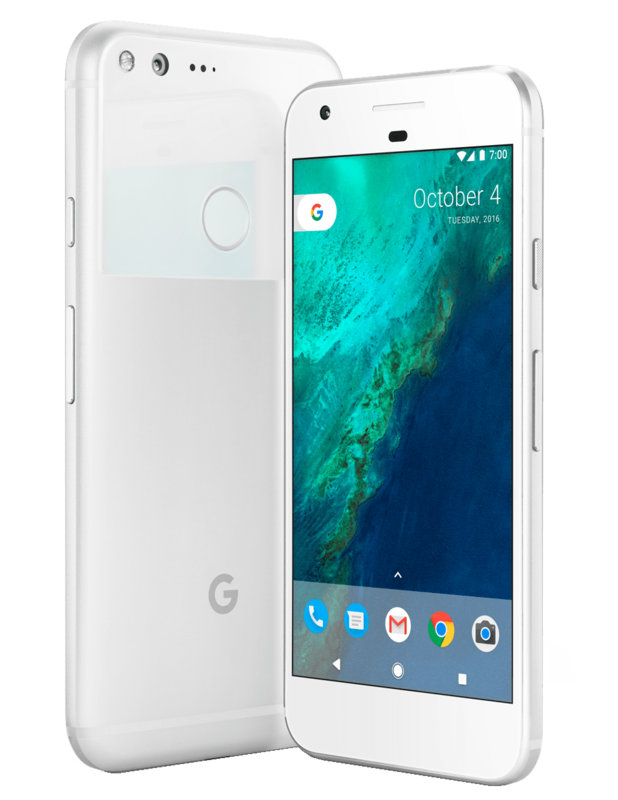 Overall the Pixel doesn’t feel techie like a Samsung phone, it just feels like a smartphone, and specifically an iPhone, because Google wants the Pixel to feel familiar. Inside it’s really powerful. Google wanted this to be a top-tier phone. There’s a fast Snapdragon 821 Processor and 4GB of RAM with two storage options: 32GB or 128GB. We love these OLED screens because they have great color and super deep blacks and the pixels are faster and much more responsive than any other Android phone of the past. Another thing people will probably like is that the smaller 5” one is just as powerful as the bigger 5.5” one. Because Google can now control both the hardware and software they can optimize a bunch of stuff like battery life. The battery in this phone has been running on average for about 2 hours longer than the iPhone or a Nexus phone. Here’s the kicker though: You pay for all that power and design. The 5” design’s 32GB = $649, and the 128GB = $749 and for the 5.5” the 32GB = $769 and the 128GB = $869 (USD). 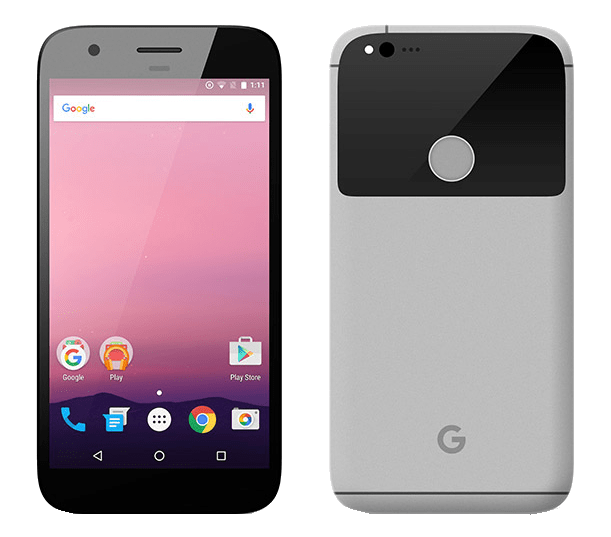 Google made a really user friendly phone that feels and works like a phone, the main complaint on the hardware is that it is not waterproof like the newer generations of Samsung and iPhone. One of Google’s main objective of creating their own phone was because they wanted to control the integration between the hardware and software. And there’s no more important piece of software on the phone than the assistant. The idea is simple. Like Siri on the iPhone you simply press and hold the home button and you start talking. The cool thing is is that it looks like a chat interface. It is so because Google wants it to feel like a conversation. Plus, it remembers the prior search so it can multitask between conversations with ease. It even knows what’s on the screen such as a web page if you have direct questions regarding the current page. All of this technology makes it possible to have follow up questions. It really is too cool, but it does have a ways to go but arguably it’s the best on today’s market. There are some other software bits to talk about. The launcher is new it has round icons and you swipe up to find your apps, and you can long press on icons to create shortcuts. It also comes with 24/7 phone or chat support with screen sharing if you need extra help. The clearest example of software integration is the camera. Google claims this is the best camera ever put in a smartphone. There is a lot of technology in this camera. It has a 12MP shooter in the back and the pixels are really big for low-light images. And there’s a phase detector autofocus and also lasers for autofocus. The one thing it doesn’t have is optical image stabilization. But the proof is in the pictures and we are pretty impressed with how they turn out ready to view without much, or any editing needed. This camera is really fast and shoots in HDR auto mode by default which usually slows down on an Android. But here it’s fine. And at the end of the day this camera is in the same ballpark as the Galaxy S7 and iPhone 7. Another great aspect about this camera is that the video has electronic stabilization because it’s tied to the gyroscope. So if you’re shooting a video and it’s pretty shaky the end result will still be pretty good. The best part that will have many happy is that every picture that you take gets stored on the cloud in full definition for free. So this is what it means that Google is finally making it’s own phone. It has good hardware a pretty smart assistant and a really good camera. It means that this is the best Android phone you can buy. But what it really means is that Google is getting in the ring and ready to fight against the iPhone. It will even be sold in Verizon stores and you know they will market this phone to the fullest extent. We’ve never seen Google take on Apple this directly before and go toe-to-toe with them like this. So this should make for an awesome continual showdown.